As gifts are opened Christmas morning, take the time to check for any sharp/pointy edges. 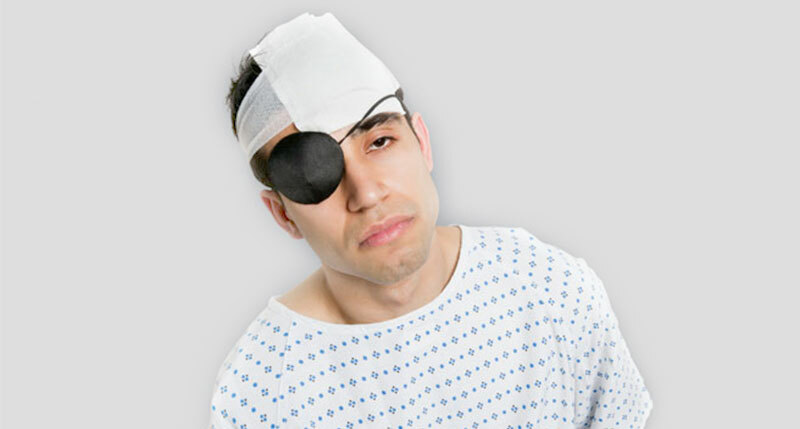 Eye injuries often occur on Christmas Day when excited children play with new toys. The mistletoe is meant to be a surprise, but sometimes it’s a bit too much of one right in the eye! Tall guys and gals out there need to keep an eye out for that unexpected mistletoe hanging. New Year’s celebrations and champagne go hand in hand, but so do champagne bottle corks and eye injuries. This year, uncork that bottle of champagne with a hand towel over it to ensure the cork doesn’t fly. While not as flashy as a cork flying across the room, sending a party guest to the emergency room isn’t exactly a positive party memory. In addition to being more aware, always use safety glasses when working around the house and exercise safe habits as you enjoy this year’s holiday celebrations.